At Cork and Canvas alcohol isn’t called liquid courage, it is called liquid creativity. 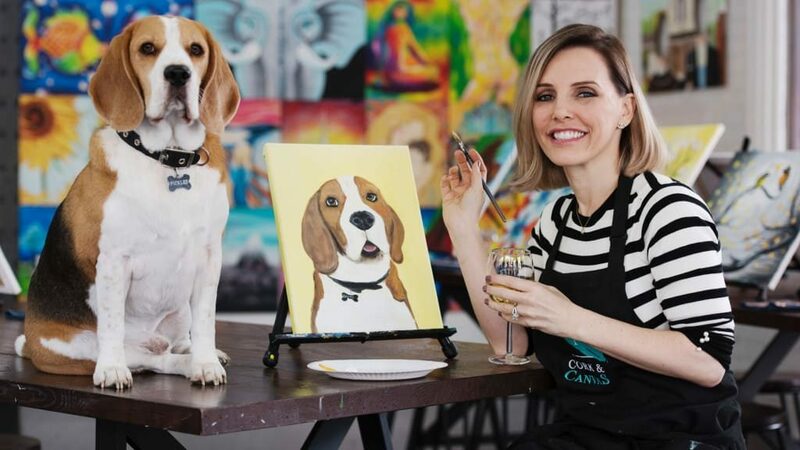 The BYO art studio is the enterprise of American expat Melinda Janiszewski, who first opened the business in Melbourne in 2013 after seeing the success of the paint-and-sip concept in the US. It proved such a hit, she launched a Sydney branch in April, conveniently located opposite a bottle shop. While some sessions see students create artworks in the style of Van Gogh, Munch and Hokusai, the most popular pick on their program is the Paint Your Pet class. Participants submit photographs of their animals prior to the lesson, which are hand sketched by Cork and Canvas’s in-house artists ready to be painted by would-be artists on the day. In the three-and-a-half-hour class students then learn techniques to create lifelike eyes and realistic fur. So far, pets have run the gamut from the expected cats and dogs, all the way to more unusual creatures such as sloths, ferrets and goats.